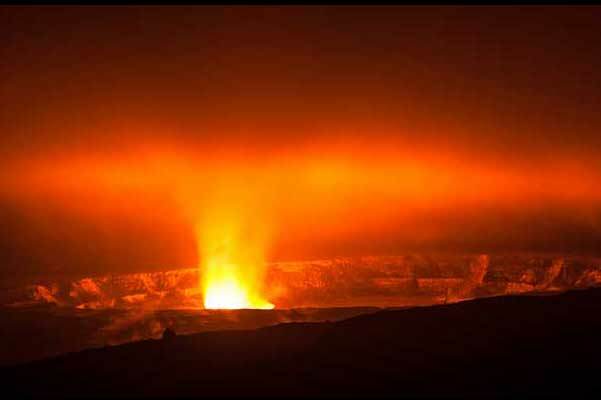 See incredible volcanic activity as you fly over lava flows and steam vents. 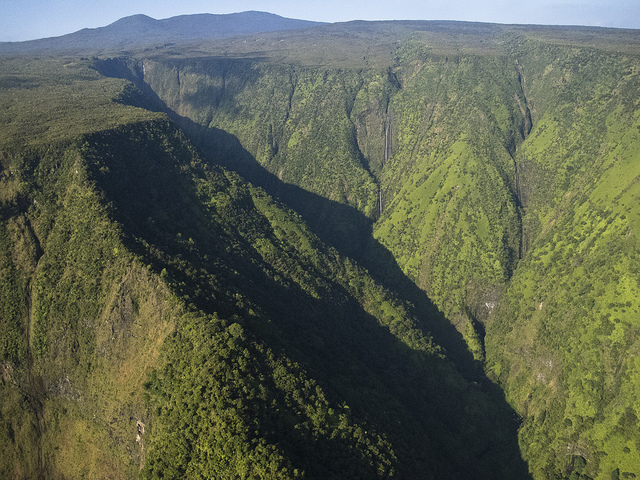 Soar Above Big Island Volcanoes and Majestic Waterfalls! Now this is definitely the way to see paradise! 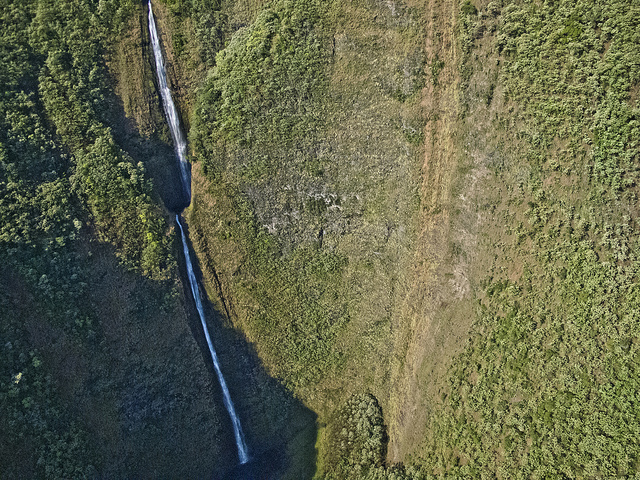 Big Island volcanoes, waterfalls spilling into the ocean, lava flow, and world renowned Hawaiian coast line…all from a helicopter! Seriously, how can it get any better than that?! Come play. The Big Island is waiting! There is nothing like seeing an active volcano from above. 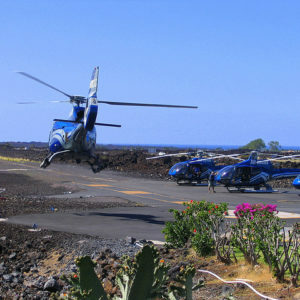 For many visitors, a volcano helicopter tour is the most memorable activity of their time in Hawaii. Do you want to make it yours? 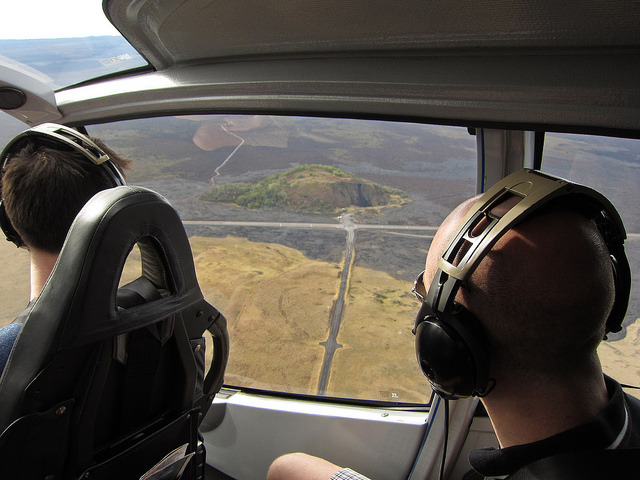 Our volcano helicopter tour departs from Hilo International Airport. 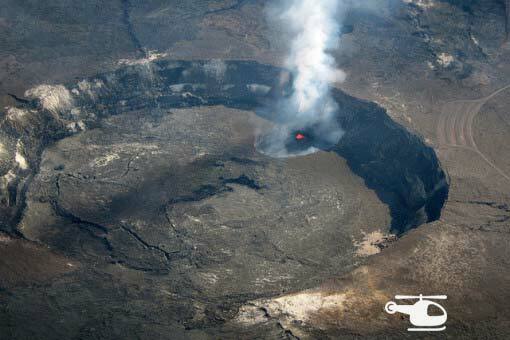 This is the closest location to the volcano making it the best value in Big Island helicopter tours. Flying all the way from Kona to the volcano takes much longer and every minute in the air costs about $5 in a helicopter. Most of us don’t want to spend $150 extra just to see more clouds. When taking off in Hilo, you will immediately have a view of historic Hilo Town and beautiful Hilo Bay. 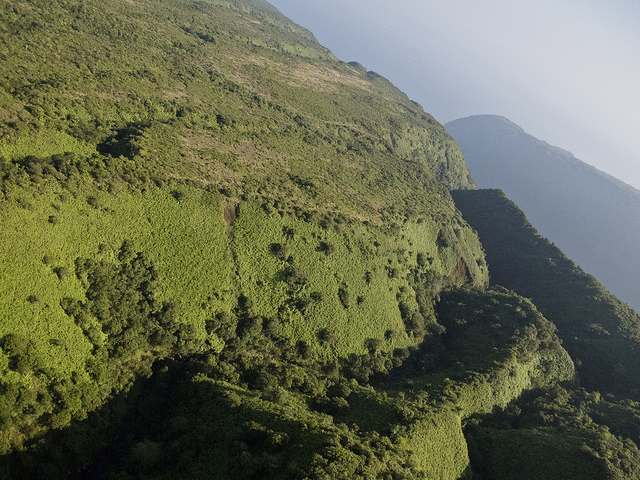 As you head to the volcano the scenery changes to rain forests and coffee and macadamia nut plantations. 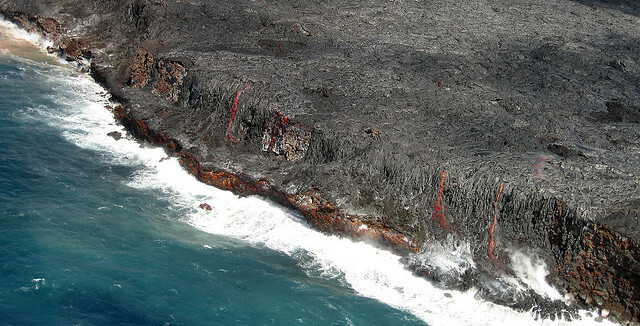 Above Hawaii Volcanoes National Park you will see sights that can only be seen by air. Fly over fiery lava vents, lava trees, and lava tubes. 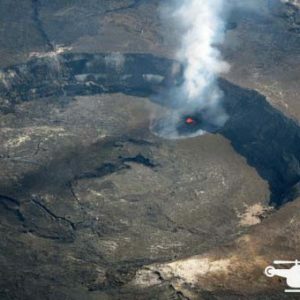 Pilots keep themselves informed about where the action is and will take you to the best current volcanic locations. 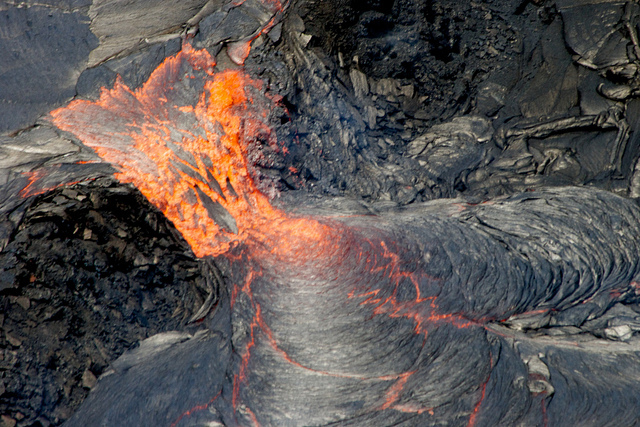 Most of the time we see lava, but it’s not guaranteed. 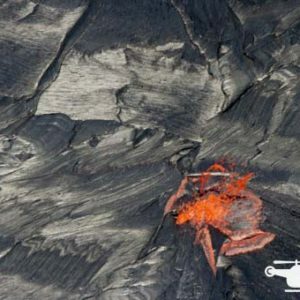 We can tell you that your chance of seeing lava is better from a helicopter than any other way. 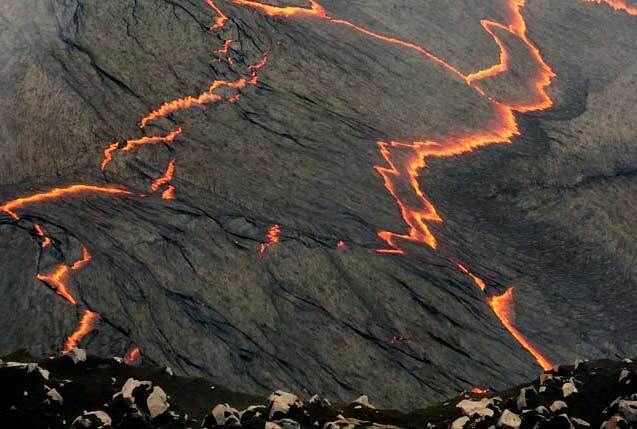 Doesn’t it make sense to go with the best possibility of seeing lava? 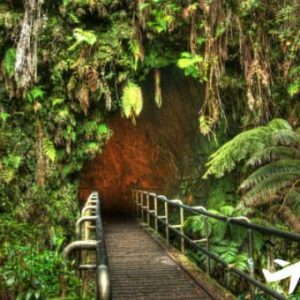 The focus of the tour is on the volcano, but you will also fly over Hawaii’s tropical rain forests and see impressive waterfalls cascading into lovely emerald ponds. Most Big Island visitors stay on the Kona side of the island. 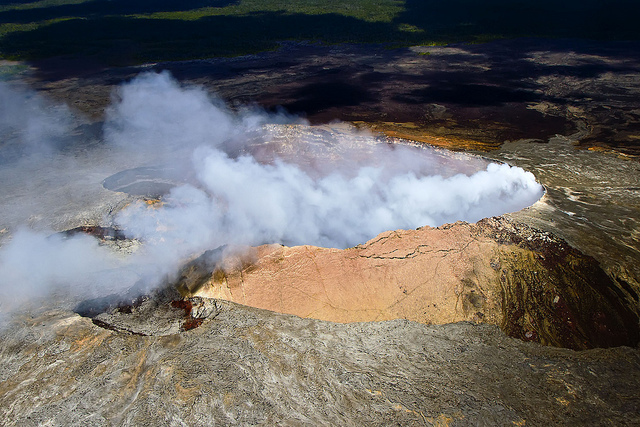 We recommend that you plan to drive to Hilo and spend a day visiting the volcano by land and air. If you want to really see the volcano you should get both perspectives. On this 50-minute tour you will see Earth’s creation and destruction. 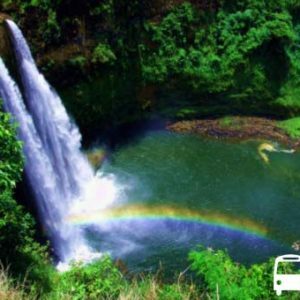 Your pilot is a Hawaii State-certified tour guide and will give you a professional narration about everything that you are seeing. You will have a two-way headset so you can ask the pilot questions and talk with the other passengers about the amazing sites you are seeing. There is no other way to get this once in a lifetime experience. 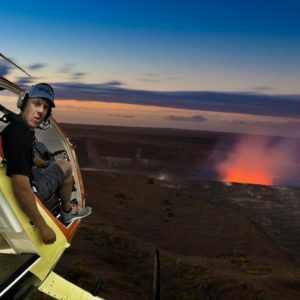 Book your Hawaii Volcano Helicopter tour today. Let me start by saying the booking process was painless and easy, even when we had to change the date within the month prior. My partner has been wanting to see active lava for years now, and this helicopter tour was such a magical way to do it! We saw the volcanoes/lava flows and the waterfalls. The door off is the best! This was my first time to go on a helicopter. They upgrade is to door off for free and it was wonderful! Our pilot was friendly and calming. The most awesome tour of the island you can get! You’ll be well taken care of from the moment they pick you up! Our pilot REALLY did an excellent work of narrating our guided tour though everything from dino-land to the militarybases! And dont miss out on her tips on where the best to go when on the ground again! We were a little nervous at first but her voice was very calming. And also, you got to see the ocean and forest with a very close view. A little bit scared at first, but I promise that you want to ride again! we could have seen otherwise. flowing lava and majestic waterfalls from above. the island. Actually saw lava! For each guest weighing more than 260 pounds on Eco-Star flights or more than 250 pounds on A-Star flights, an adjacent, empty seat purchase is required. The charge for an adjacent empty seat is 50% off the regular tour price. This open seat ensures comfort for you and all of the other guests on your flight. Please inquire directly with our reservations staff by telephone about the possibility of a comfort seat waiver. No-shows are assessed a 100% cancellation penalty.